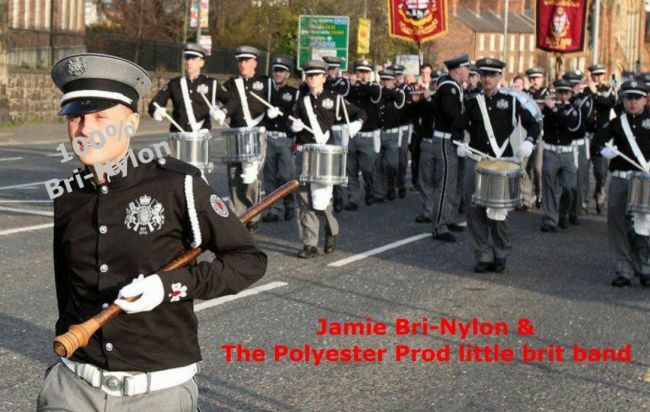 Pathetic Polyester Prods (PPP) are a critically endangered humanoid species, the destruction of this weird specie is due mainly to global warming towards education and the human fashion of having a mind of your own. The PPP can still be seen in the post industrial deprived parts of the North of Ireland and parts of Scotland, the native Scottish and Irish alike know these endangered specie are full of anger and hate for native society. The PPP long for the olden days of empire, sadly for them it is gone and never coming back. they are a funny old sight. Claiming but having zero to do with religion - the ppp are extreme ignorant british nationalists of the dead empire kind, or at least a bri nylon even more twisted and ignorant form. 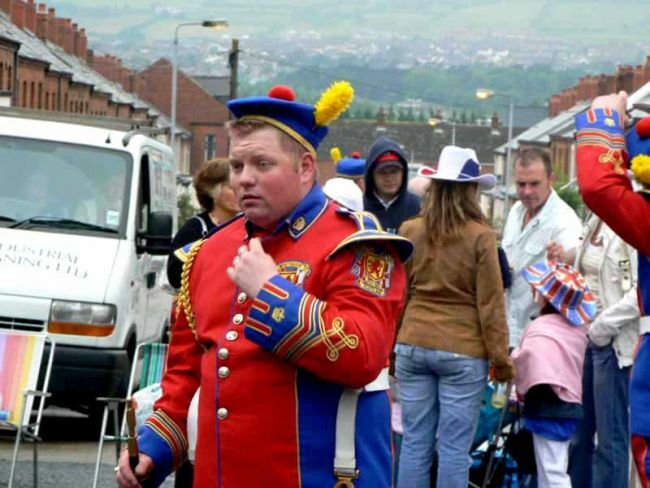 The sectarian extreme and deranged version of british nationalism Orange disorder, encourages and promotes these poly prods to come out and pretend they have some role in life, these perverted extremes of shallow crude poly plastic nationalism. 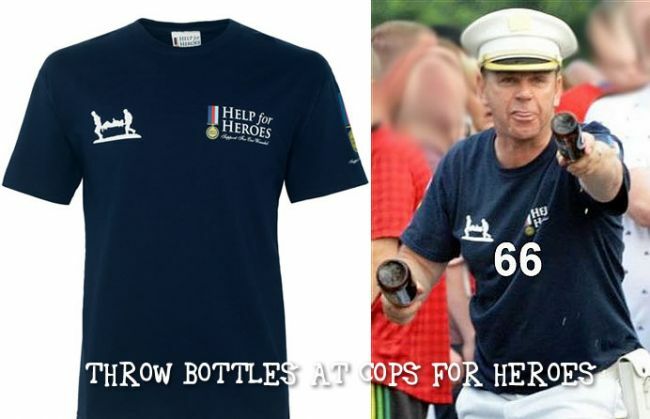 These Polyester Prods are a perverse mockery of ANY form of Christianity. 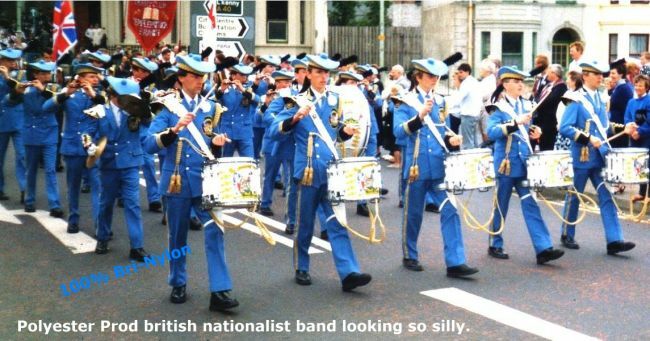 Polyester Prods (not real Christians of any kind) are reared in the most selective and ignorant plastic British protestant myths. 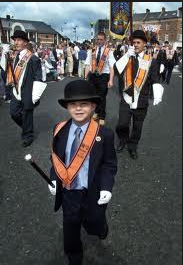 Encouraged, brainwashed by extremist plastic british nationalism and anti Irish racist bigots of the Orange DisOrder. 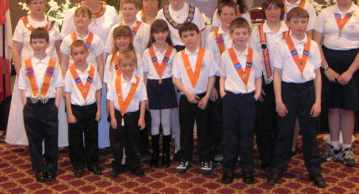 The Orange order encourages the indoctrination of minors, little children. 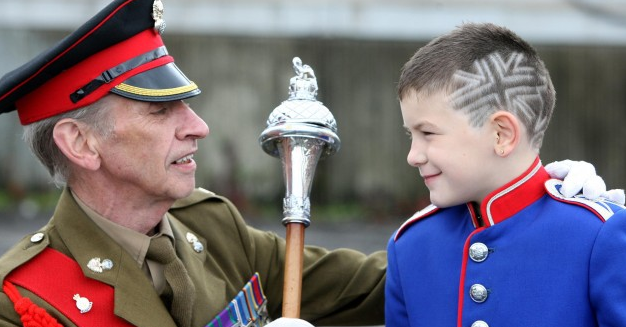 Child abuse in any other name. 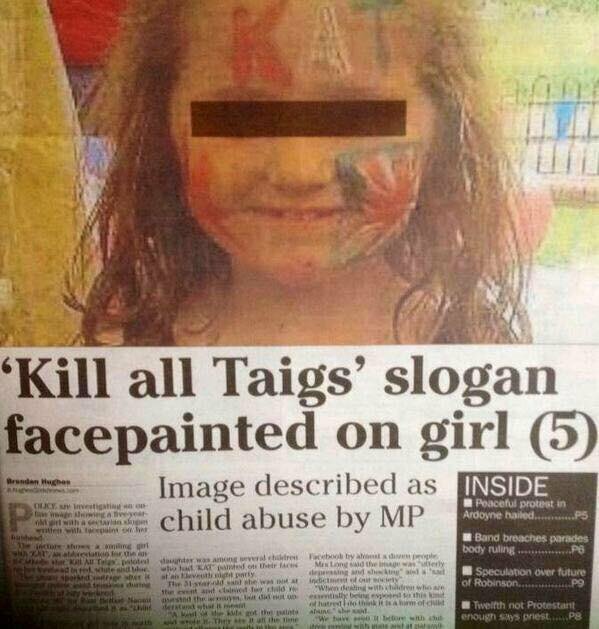 Imagine if this were a openly sectarian and extreme Irish or Scottish nationalist group that did this to children. 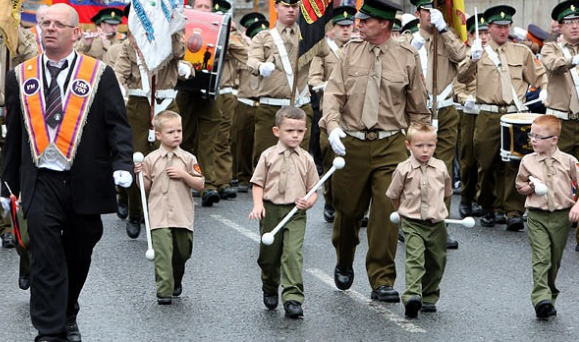 Paraded indoctrinated children as young as these to be nationalist banner waivers, drum beaters, idolatry to swear allegiance to a so called royal being, a flag and a so called religion, a so called special religion that made them superior! Only they who were of it, could be proper of this so called race because of this so called religion! The BBC would have immediately let you know exactly what you were looking at, informed you! 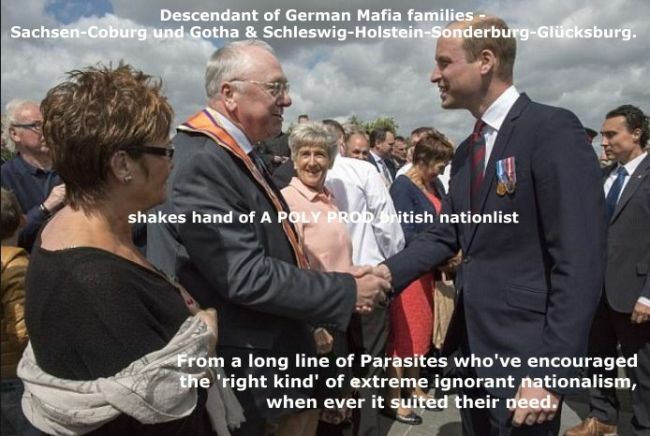 label them for what they are a form of extreme perverted nationalism crude ignorant right wing exclusive hate clubs, akin to the KKK and far right groups of Eastern Europe. so would RTE as would the members of both the Dail and Westminster.